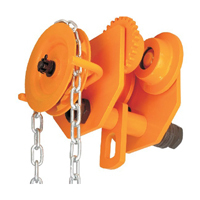 Hand geared trolleys are an excellent option when accurate load spotting is a must. 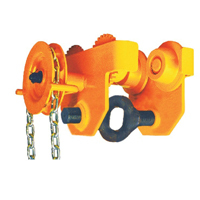 Geared trolleys are also referred to as hand geared trolleys and incorporate a looped hand chain, which is attached to a hand chain wheel or sprocket. 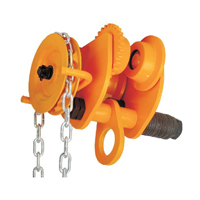 When the operator pulls the hand chain, the sprocket then engages the gears which facilitate wheel movement. 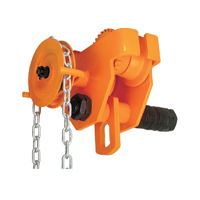 Upon pulling the chain, the trolley will travel in the opposite direction.